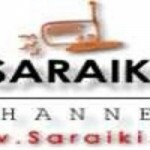 Saraiki Radio is an internet based radio broadcasting from Multan, Pakistan. Saraiki Radio provides its listeners with Local Music, World Music and Punjabi Folk songs. It uses Punjabi as an official language. It air for all aged listeners.